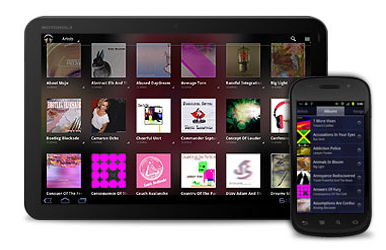 Sony have released an App for Android Phones beating the iCloud and Spotify in the US to provide their Qriocity Music Unlimited service to Android phone users. There are two levels to subscribe to giving you access to a library of over seven million songs from all four major US labels. Firstly for $3.99 per month, the Basic package provides ad-free music streaming, a scan and match service for your existing music library (including iTunes) so you can then playback your music on other “Music Unlimited” devices. For $9.99 per month, the Premium plan includes all features of the Basic package along with the ability to create playlists, universal song playback rights (listen to any song you want any time), and access additional radio channels. Impressed? Let us know. Slight hitch for everyone else…no idea when this will be available outside the US. HTC have now announced via their Facebook page that they will be releasing Gingerbread to proud HTC Desire owners. Lets see what they say tomorrow! UPDATE: HTC has clarified its position by saying, “to resolve the Desire’s memory issue and enable the upgrade to Gingerbread, we will cut select apps from the release”. We are yet to find out which Apps will go. UPDATE – Check out our post on the quick HTC turnaround over Gingerbread which will now be coming to an HTC Desire near you! The following statement has been posted by HTC on their website which is really disappointing for owners of an HTC Desire anxiously awaiting the update to Gingerbread Android OS. It is a real blow after HTC had promised the update previously. If you own or were thinking of buying an HTC Desire, let us know what your thoughts are. Hp have released the following You Tube videos which is just in time for the UK pre order date for the new tablet. If you fancy a look, check out the official You Tube channel as there are lots more than these! Also check out HP’s website on the Touchpad. This weeks E3 was a glorious event celebrating what is now a very established, powerful and in our opinion joy giving industry. But some have noted that Sony seemed to stand in the shadow of Microsoft and Nintendo. For the Microsoft Xbox 360, it quickly became the year Kinect appears to be coming of age and in to it’s own with now support spilling in to mainstream gaming title such as Mass Effect 3 and a Star Wars branded game. And they were not the only ones. Indeed, the Fall due upgraded dashboard with voice recognition, Live TV and greater Kinect interactivity alone was a major message behind what Microsoft see as the future of gaming. Nintendo came out with that controller! The Wii U and it’s controller signals intent by Nintendo alongside being embraced by mainstream game titles alike to bring Nintendo in to the Living Room Hub game with features like video calls, touch screen drawing and a console which does not have to dominate the TV! Sony indeed did bring out the new PS Vita which marked their next move forward in to portable gaming. But that is a market that is becoming increasingly competitive with even Apple getting in on the act through the impressively growing array of gaming titles for iOS devices and indeed reports today that AppleTV and an iOS device such as an iPad may start to even compete directly with the Wii U concept. Android and the Sony Ericsson Xperia Play are further diversifying the portable gaming market and creating some huge choices for the consumer. And the Nintendo 3DS! Now a year in the games industry is not a great deal of time and next year it would not surprise any of us if Sony hit us all with a Playstation 4. But where will the PS4 fit with Kinect taking control of the no controller needed environment and Wii U bringing the interactive gaming experience with a motion control and multi view gaming to a new level (check out the golf shot from the Wii U promo video). Sony are capable of bringing something special that we can not think of but Xbox is catching up Sony for content on the Entertainment front outside of gaming (video playback, music hub, TV, social networking etc). They may feel (as hinted by the Playstation 3D gaming TV set they announced – which is pretty neat) that the future of gaming console wars is to be fought over the 3D market but I am not convinced this is going to universally catch on with movies and TV nevermind gaming. There is still resistance to having to wear a 3D pair of glasses to get the best experience. Sony still has the edge on Blu-Ray but is this a move to protect their investment in the format? Downloads and content streaming are increasingly where the market is moving. And while Sony are looking at the PS4, Microsoft will surely already be looking ahead too. Where this will all take us, we will have to wait and see, but it is hard to see where the PS will catch up and indeed overtake the Xbox. Next years E3 will certainly be very interesting! Reports are rife on twitter and other blogs that Google has sent further invites out for its cloud based music streaming service in the UK. You will need a Nexus S running Android 2.3.4. Once you have signed up, simply look out for the self install notification! Lets us know your experience in the comments below. I have to say as an avid iPhone and iOS fan, this handset could turn me if I did not think Apple will strike back strongly. When you pick up the handset, the first thing you notice is the elegant design and weight of the phone giving a firm and strong feel. The first Galaxy S was indeed, iPhone like (see much publicised legal action). And perhaps thats where the operational feel has been inspired from but this time round the handset seems more original. Yes, it is a touch screen and it’s hard for a touch screen device not to look alike to others at times particularly when the screen is so dominant. The form of the handset here is so simple, thin and great to hold. This should be a pointer to Apple in terms of how thin the Samsung Galaxy S 2 is. Don’t get me wrong, this handset is not as attractive as the iPhone 4 but it is pretty damn close and in fact, you can be forgiven for believing as I do, that only Apple could better this handset which sits alongside only a couple of other Android handsets for looks. And here is something, although the screen on the new Galaxy is 800X480 over a 4.3 inch area, it seems to perform brilliantly when compared to other similar pixel screens (see Google Nexus S for example). It is not a match for the iPhone 4 but for what it is (I do not mean that detrimentally), this is a very good screen. You can understand the use of such screen in perhaps preserving battery life in such a thin handset when the battery size would have an impact by how much juice the screen uses. And while we are on the subject of the screen, go to a stockist and check out how good videos look when played back, that alone will impress you along with the screen size which makes it more suitable for videos. Again, the screen quality does not in my mind rival the iPhone but it’s size makes all the difference and it handles the quality with disregard for most competitors. When you use the screen, touch response is as good as you would expect from an up to date device. Performance is stunning as the handset should be with the dual core processor which I read clocks at 1.2GHz. The reality for me was that the handset handles everything you throw at it with such speed I did feel slightly jealous that it was not an iPhone! I have not tried all Android phones but I can not possibly imagine that this can be beaten at the moment. And by the way, the Camera is awesome for a smart phone. Crisp and every bit the stated eight megapixel it claims to be. And so on to the operating system. 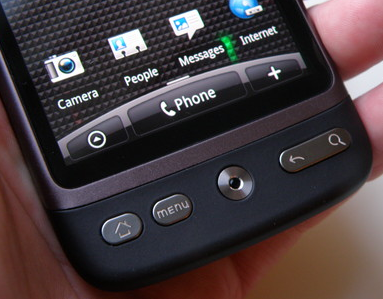 The handset uses the bang up to date Android 2.3 Gingerbread. Now I have only sparingly looked at Gingerbread up to now and one noticeable difference between this and the Google Nexus S is that Samsung have obviously slightly adapted the experience so for example, app menus swipe side to side in an iPhon-esque manner. In fact it feels a bit iPhoney all round! I do not mind that but Apple might! The keyboard is okay and given my limited Android use to date, I have read in other reviews that the standard Android Keyboard (downloadable from the Android Market) is more accurate so it is worth keeping that in mind. I had few problems with the Samsung keyboard. Samsung’s mail client looks smart but I had limited use of this on the test handset we used so I will leave you to fully decide but I can not see what I experienced letting a user down. I did however get to see the Social Hub app working, pretty neat, I like the idea of a universal Twitter, Facebook and LinkedIn app (amongst others). I also see that you can integrate in Windows Live Messenger and Yahoo Messenger which is also a good feature. There is not much to complain about with the software on the device whether it be Samsung Apps and influence or the overall Android operating system. Time will tell how Samsung will embrace any update to Android OS with this handset in the future but my Android friends tell me they have been good with the original Galaxy S handset which they have all raved about since day one. Overall, I really can not complain too much about this handset but as always, I am weary of Android handsets and how quickly there is potential to get left behind. If I switched to an Android handset on a day to day basis, I would be tempted by this phone. It is excellent as an all round smart phone. If you want to play it safe however, you may still want to stick with a Google Nexus S for the very sake of Android updates. Otherwise you could also check out the HTC Sensation but on the face of it, the Samsung Galaxy S 2 looks like a class beater, for now.